You could have one course… or you could have six. Are you tired of visiting restaurants and agonising over what you should order? Do you get a serious case of food envy whenever you gaze across the table and see everyone else’s meal? Our tasting menu is here to save you from your troubles. 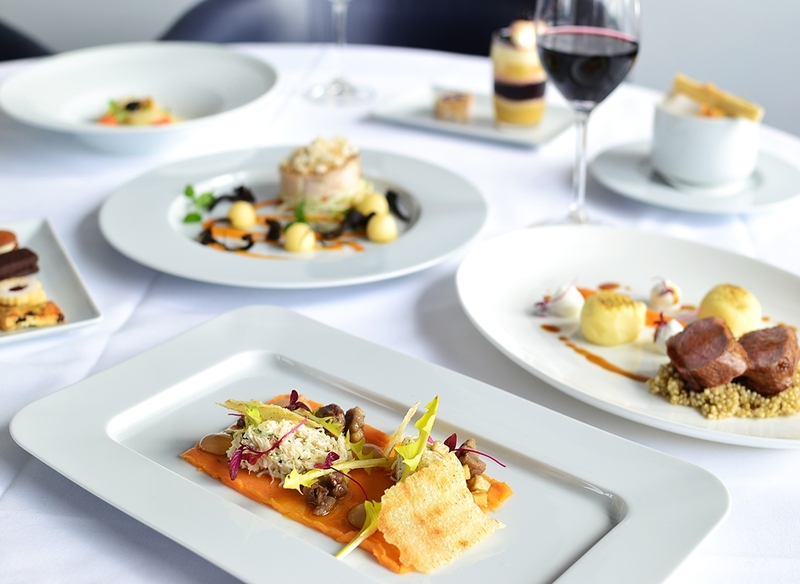 At OXO Tower Restaurant, Head Chef Jeremy Bloor is constantly adding innovative dishes to the menu. He wants you to be able to try them all, so he’s launched an exclusive tasting menu to help all those indecisive eaters out there. Leave the ordering to us as you sample oxtail soup with a gyoza and truffle cream cheese and Severn & Wye smoked salmon with spinach purée and purple potato blinis. The main event includes crispy quali leg with fennel aioli and turbot with steamed cockles, followed by a stuffed loin of lamb with spinach and Isle of White blue tart. You’ll be finishing off with rhubarb and rose mousse and delightful English truffles. Sound good? Make your visit even better by opting to have a wine pairing with each course, selected carefully by our Head Sommelier. With so many mouth-watering choices that highlight all the best flavours of the season, it would be a shame to have just one dish. Let us take the wheel and treat you to six incredible fine dining courses for £85 or £130 with a wine pairing for each course. To buy a tasting menu gift card, click here. Available Monday to Friday 6pm – 8pm and Sunday 6.30pm – 7.30pm, served at OXO Tower Restaurant. Maximum group size of 7. All guests must be dining on the tasting menu – please request upon booking. Vegan, vegetarian and gluten free options are available upon request. Service charge is not included in the price. For more information or to book a table, get in contact below. Get rewarded for dining at OXO Tower by downloading the Rewards by Harvey Nichols App. Earn a point for every pound you spend and unlock instant Benefits and new Rewards every three months. Find out more.